Styled Shoots are always a fun way to collaborate with other vendors and bring our strengths together to create something fresh and inspiring! 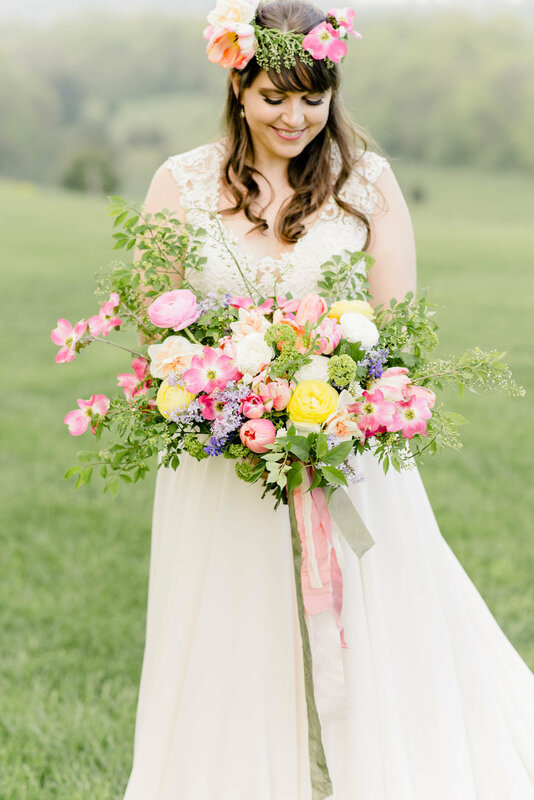 Blair Roberts of Sweet Blossoms (florist out of the Frederick, Maryland area) asked me to be part of this beautiful spring-inspired "picnic elopement" shoot with her and a few other hardworking, creative, super-sweet wedding vendors! Brielle Davis, Brielle Davis Events, put together the picnic details and collaborated with the venue for us, Voula from Blue Lace Cakes created the beautiful cupcakes, Blair brought the flower arrangements, and Brielle's assistant Sydney and her husband Si were our models for the evening. Sydney's gown was from Couture by Posh Bridal, and rings were borrowed from Mervis Diamond. 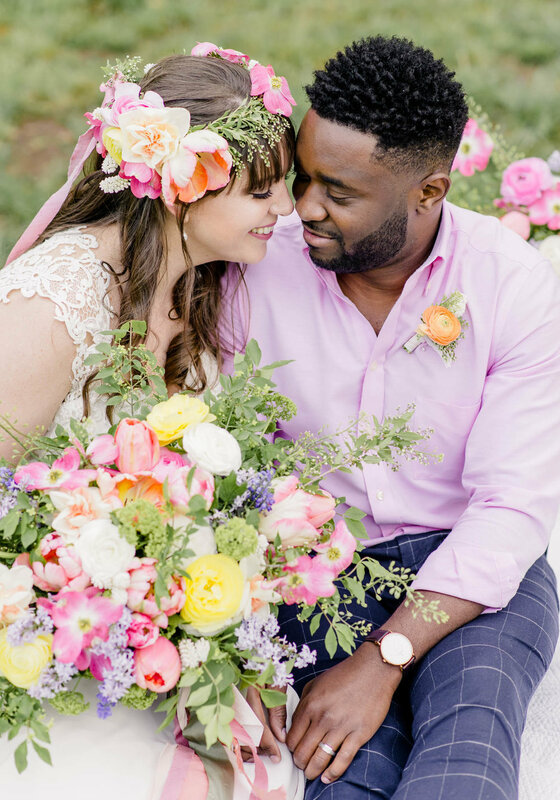 Blair sourced her florals from Petal Patch Flower Farm and Tierra Blooms and Julia Rose Jones did Sydney's hair and makeup. 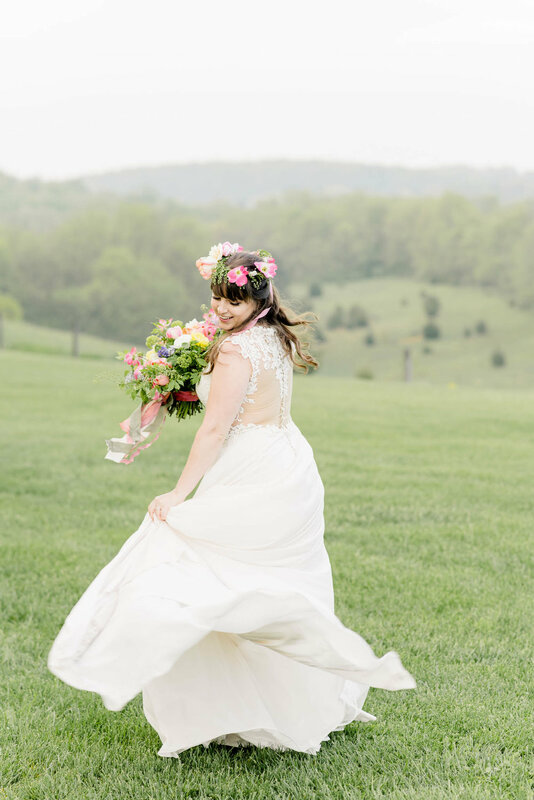 We had such a fun time at Dulany's Overlook in Frederick and luckily the weather cleared up for us! It had been raining all day up until it was time for us to shoot! It felt great to be behind the camera and spend time with these amazing women (and awesome dude, hehe)!